Fotheringay's only album - the beautiful self-titled Fotheringay - has long been regarded as one of the finest achievements of British folk-rock. Originally released in 1970, soon after Sandy Denny left Fairport Convention, the album includes some of her finest vocal performances and some of her finest original compositions. Now, Fotheringay are returning to the scene following the release of their new 4-disc box set, Nothing More, The Collected Fotheringay, and Mick Houghton's inimitable biography on Sandy Denny, "I've Always Kept A Unicorn". The line-up includes the original founding members Jerry Donahue on Guitar, Gerry Conway on Drums, Pat Donaldson on bass with very special guests PJ Wright filling Trevor Lucas shoes, Kathryn Roberts and Sally Barker respectfully filling the shoes of Sandy Denny and providing silky smooth and harmonious vocals. The musical achievements and professional experiences of the band combined is too long to list and spans 40+ years - you couldn’t find folk who know more about folk. When Sandy Denny left Fairport Convention in November 1969, just ten days before the release of the monumental Liege & Lief, the reason given was her reluctance to travel but she was also concerned that Fairport’s recently adopted traditional folk bias no longer provided an outlet for her songwriting. Fotheringay’s aim was to combine Fairport Convention’s original folk-rock blend and some traditional material alongside a more country rock approach. Fotheringay was the only album released by the group in its lifetime although preparations had begun to record a second album. However the band split, with Fotheringay’s farewell concert taking place in January1971. The Fotheringay musicians all went on to have successful careers, particularly as session musicians with the likes of Cat Stevens, Joan Armatrading, The McGarrigles and Gerry Rafferty. 34 years later, Jerry Donahue, Pat Donaldson and Gerry Conway carefully pieced together Fotheringay 2, by assembling the aborted album from the 1970 master tapes. Both albums have now been gathered together in Nothing More: The Collected Fotheringay, each bolstered by a generous selection of demos, alternate takes and mixes, live recordings and unreleased BBC session tracks. Fotheringay appear at The Apex on Sunday 26 June at 8pm. 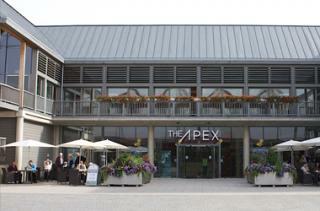 Tickets are £22.50 in advance (£24.50 on the door), call the Box Office on 01284 758000, or visit www.theapex.co.uk for more information, or to book your tickets.